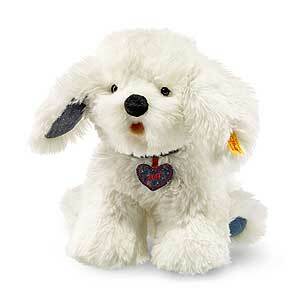 Wuff Dog by Steiff is hand made in cuddly soft white plush. He wears the famous Steiff Button in Ear and carries the yellow ear tag. With blue denim effect cotton paw pads and inner ears, match lovely with his collar and tag.